There is a lack of studies looking into religiosity and religious coping in cancer patient. In this cross-sectional study, we examined the religiosity using Duke University Religion Index, religious coping using Brief Religious Coping Scale, anxiety and depression based on Hospital Anxiety and Depression Scale among 200 cancer patients. 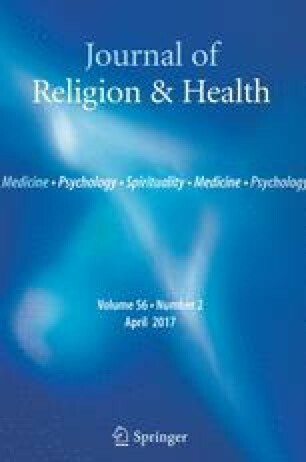 The association between religiosity and religious coping with anxiety and depression was studied. The findings showed that subjects with anxiety or depression used more negative religious coping and had lower non-organization religiosity. Hence, measurements in reducing negative religious coping and encouraging religious activities could help to reduce psychological distress in cancer patients.